Many varieties of Swiss Chard are being harvested. The different colored rib creates a colorful dish. Enjoy this wonderful plant in the recipe opposite. Our farmers are hard at work harvesting, planting, controlling weeds & pests, and managing seasonal help as well as building markets for their fresh local food. 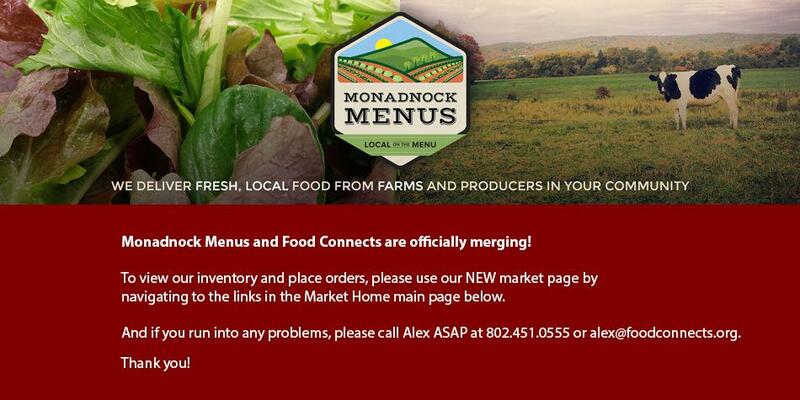 Support their hard work and dedication by ordering from Monadnock Menus! How about putting Swiss Chard on your menu this week? Many lovely varieties are available to sauteed. Try this Sauteed Swiss Chard recipe this week! 1. Melt butter and olive oil together in a large skillet over medium-high heat. Stir in the garlic and onion, and cook for 30 seconds until fragrant. Add the chard stems and the white wine. Simmer until the stems begin to soften, about 5 minutes. Stir in the chard leaves, and cook until wilted. Finally, stir in lemon juice and Parmesan cheese; season to taste with salt if needed. Neighbor Made supports locally grown by creating locally made! A great place to create the recipe from your past or to explore a new culinary idea.